powerful open source Video Editing Tool which is still in Beta. Unfortunately, I deleted the article by mistake and I can’t remember the name of the software. Can anyone help? Thanks! Whoops… I think it’s the wrong category and now I can’t delete this post because it’s too new. Can anyone in charge please move it to the application section? 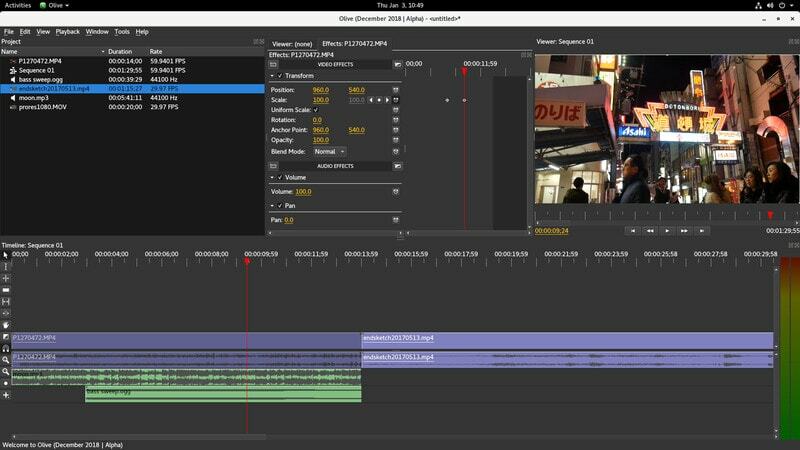 Olive is a cross-platform, free and open source video editor in development and it aims to compete with the likes of Final Cut Pro. Thank you. I’m fairly new to this kind of stuff so I deeply appreciate your help. I love olives so this should help me remember! Is Shotcut the program you’re looking for? Olive and Shotcut are FOSS and multiplatform (Linux/Mac/Windows) and very intuitive. Another Multiplatform NLE is Openshot. For Linux only, you have FOSS Cinelerra or Flowmotion. In case you’re not interested FOSS, take an eye to Lightworks. Hope finally you remember the software you’re looking for!